Don't be reluctant to call our Garage Door Repair Evanston! Whether you need immediate repair services or just need to ask a question, we are here for you! We make your problems ours and strive to solve them as soon as possible. We are experienced, skilled, well equipped and trained! Get in touch anytime! Contact us if you need information about new garage doors in Illinois! Ask for our quotes or schedule an appointment for maintenance service. 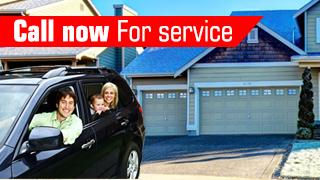 We do provide same day services, are punctual, methodical, experts and promise 24 hour garage door repairs. Call us today for all your needs!